Get ready for battle! Created by Disguise's elite team of sculpting designers, the 4 Ft. Plastic Long Sword is an example of one of their innovative designs. 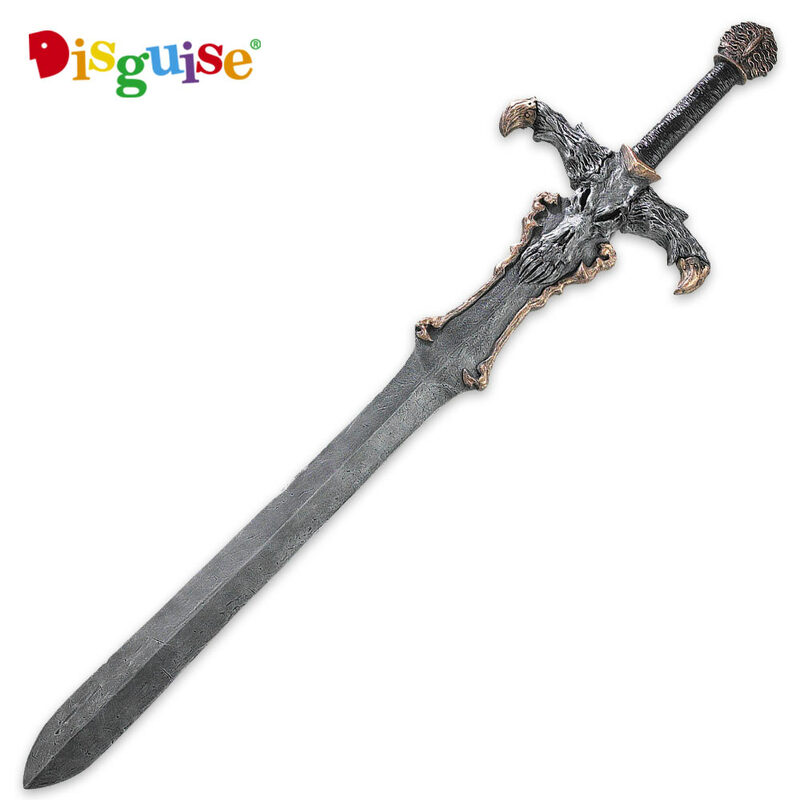 The prop is crafted of sturdy plastic and has fantastic fantasy detail featuring flashy gold accents. It is a massive 4-feet in overall length and breaks down into two pieces.